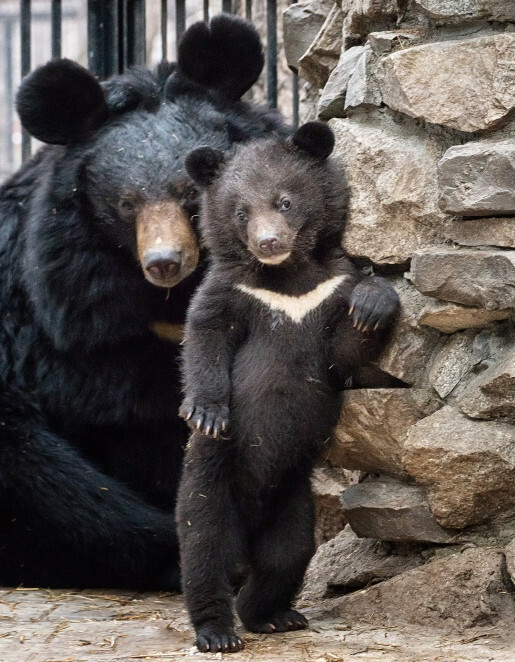 Himalayan cubs born in the Novosibirsk Zoo in January, along with their mother, the bear, Chelsea, were transferred to an aviary accessible to visitors. The first two months of life of the cubs did not leave their shelter, and only in March one of the three babies first appeared on the open air. Now the cubs walk for a long time, eat porridge and play actively. 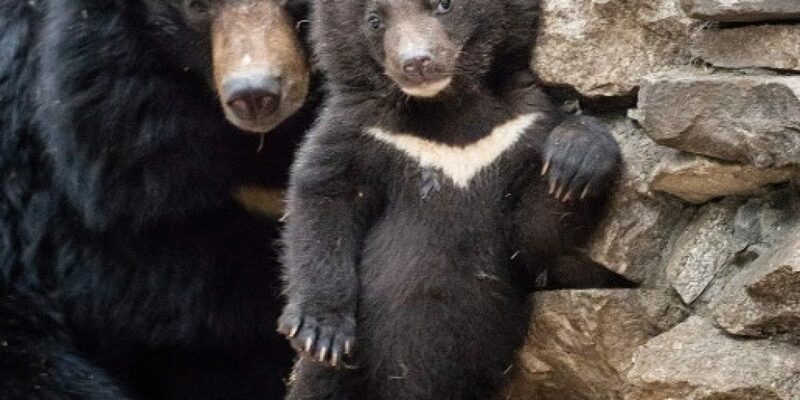 Each bear cub on its chest has a characteristic species mark – a white band curved like a crescent moon. Therefore, the Himalayan bears are called the lunar bear.